e-volo Crowdfunding bei Seedmatch from Volocopter on Vimeo. 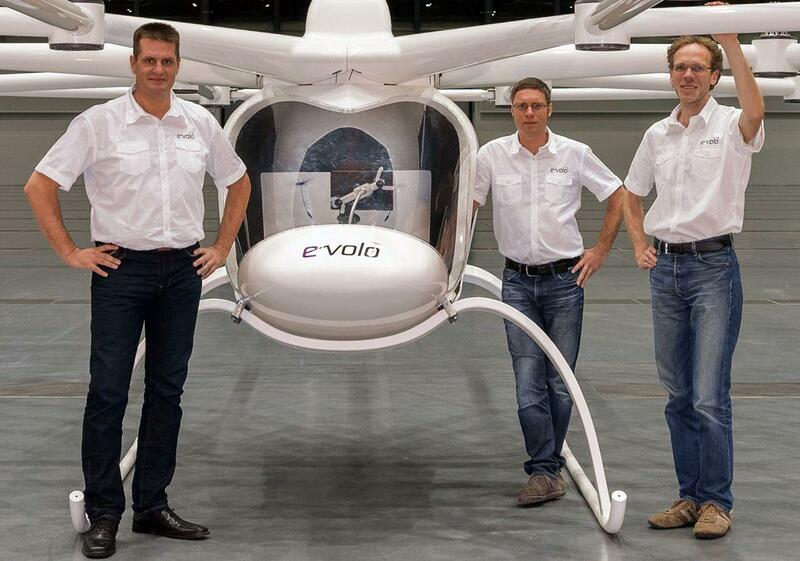 The Volocopter of e-volo is an aviation revolution made ​​in Germany. Safer, easier, and cleaner than ever before. It changes the nature of locomotion. In the spirit of keeping up with the latest developments on the Quadcopter scene for making movies from somewhere up in the air, I bring you this exciting news. It won’t be long until I, and everybody else, will be able to simply hand-hold my Canon 5D Mark III, sit back in the naugahide covered seat, relax, and let the battery powered ‘Copter haul me and my camera around for a one hour pre-programed photo tour. Sound like something from the Jetsons? It is! But it will be a reality probably much sooner than you would expect if the German firm E-Volo has anything to say about it. This is the first test flight of the company’s second prototype, a much more functional craft than first R&D effort. That earlier attempt flew, but to my eyes it looked more like a guy in a crash suit and motorcycle helmet wrapping his body around a rather large beach ball doing things unsuitable for public viewing. Finally, in this latest effort, they do have a much more refined cockpit, cabin, and apparently much better controls. Sign me up guys. I feel the need to fly. How soon can I buy one? According to Aviation Consumer Magazine, since avgas costs, on average, about $6 a gallon across the United States, and even higher in most other countries, fewer private planes are being flown. This in and of itself is an incentive for the advent of electric powered private aircraft. As production costs come down on ‘Copters such as the Velocopter 200, prices should begin to come down just as they have with the various Quadcopter drones already starting to saturate the RC marketplace. What do you predict? 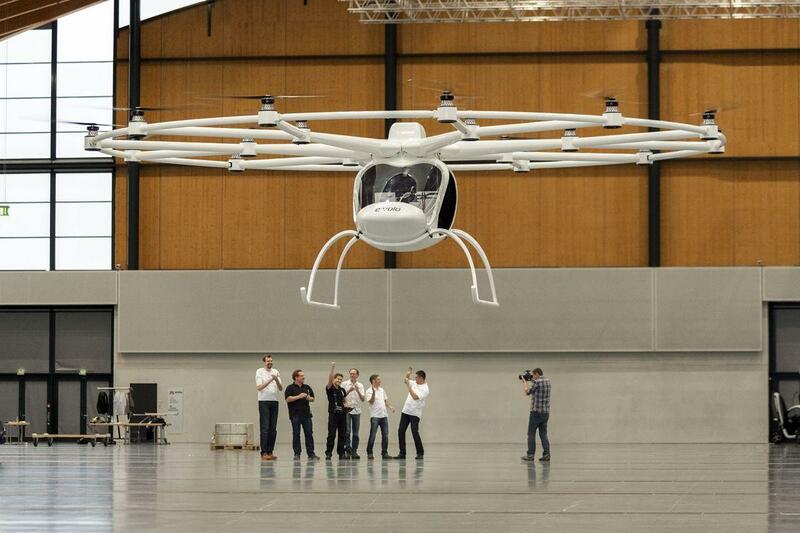 Twenty years until we all have a Velocopter 200 in our garage in place of the Prius presently occupying the space? Or do you agree with some of the pundits that say it will be less than ten? A cheer goes up from the Evolo company crowd as the Volocopter 200 makes its maiden public test flight. Previous Post A7 vs. A7R vs. 5D Mark III – Which one is right for me? Next Post Leica Buys Sinar!